CLAREMONT, NH–Create your own Holiday Tradition! 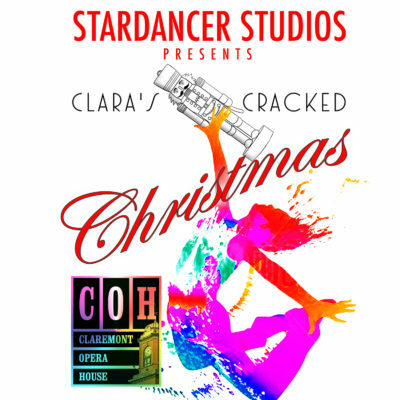 This is the 5th annual “Clara’s Cracked Christmas” presented by Stardancer Studios from Newport. Shows are Saturday, December 1, 6 pm, and Sunday December 2, 1 pm. The show is a modern twist on the traditional classic ballet, “The Nutcracker”. Enjoy watching and being delighted by all genres of dance to a mix of contemporary and classical music! Tickets are available by calling Claremont Opera House 603-542-0064, Stardancer Studios at 603-865-5626, Jenkins Dance and Gymnastic Center at 603-542-9413 or in person at COH box office in the city hall complex or at either of the studios. Tickets will also be available at the door. Tickets are $17.00.